The shooting of Sabash Naidu was going at a brisk pace, with Kamal Haasan directing the film, apart from acting. But, the recent leg injury of Kamal Haasan has acted as a setback for the team. It is known that the actor has been under rest for the past two weeks. For all the people who have been waiting to know about his recovery, here is a good news about that. Kamal Haasan, himself has tweeted about his health, stating that he has started to walk, but like Gandhiji, accompanied by two people. Kamal Haasan’s tweet reads “Rasigargaludanum nanbargaludanum pagira or narseidhi. Indru ezhundhu nadandhen. Gandhiar pola thol thaanga iruvarudan dhaan. Endraalum munnetram dhaan”. In English he tweeted, "Was up on my feet. A small spin around the room. Of course with two to assist on either side like Gandhiji;). Today was less painful." 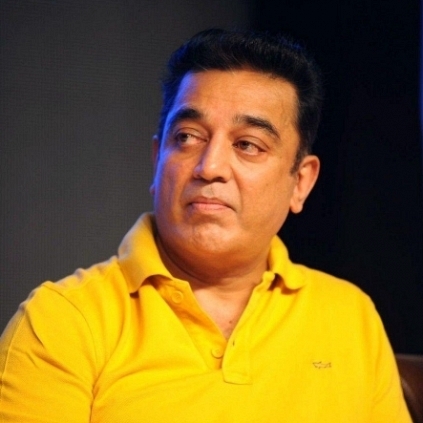 We at Behindwoods wish Kamal a speedy recovery!